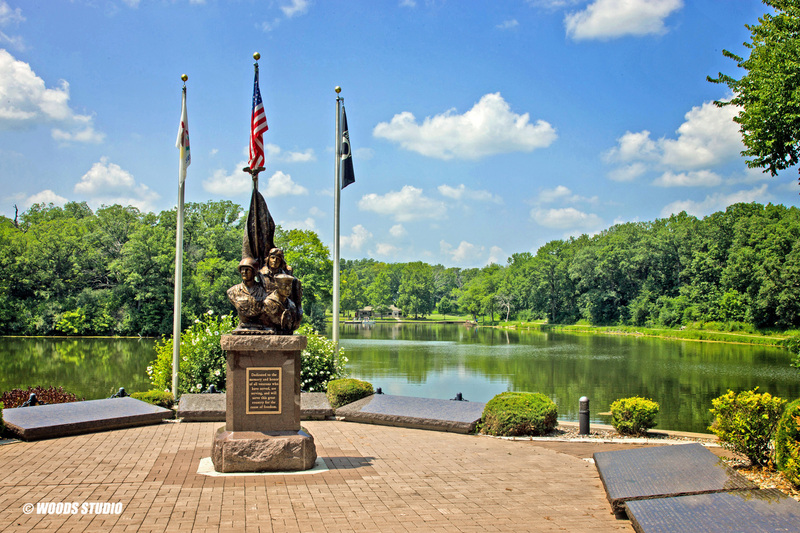 For a day trip or a weekend getaway, take some time to discover Clinton, Illinois. 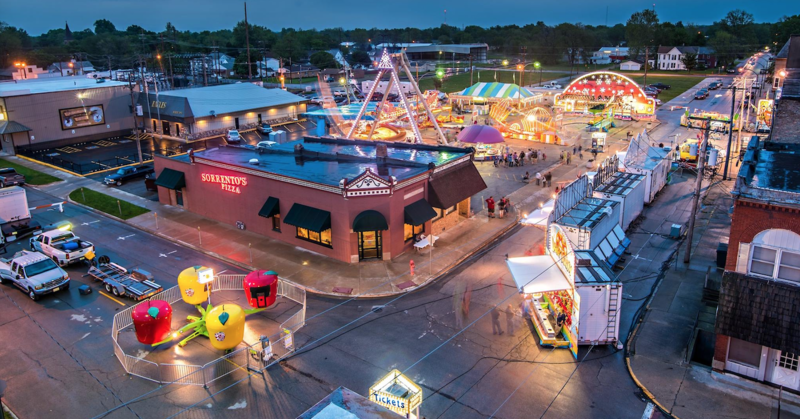 From its unique Apple and Pork Festival to the life-size statue of Abraham Lincoln in Mr. Lincoln's Square, Clinton is a classic Midwestern town. Its hometown friendliness stands out in the warm way visitors are greeted. 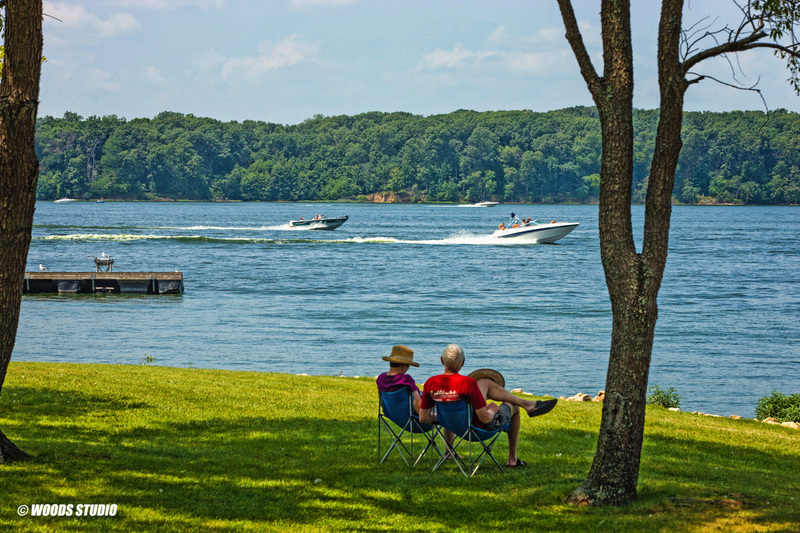 More than a million visitors come to town annually; drawn to the community by Clinton Lake State Recreation Area and Weldon Springs State Recreation Area, Barn Quilts of DeWitt County, antiquing, shopping, the town's history and heritage, festivals and unique dining opportunities. Always the last full weekend in September... wear your comfortable shoes and explore booth after booth of foods, crafts, art, antiques and more. Entertainment, demonstrations, and museum tours are among the festival activities. Plan to spend the day! Tram and bus transportation to various sites provided for a small fee. An estimated 80,000 visitors attend the festival each year. For more information, call the C.H. Moore Homestead / DeWitt County Museum at 217-935-6066 or click here. 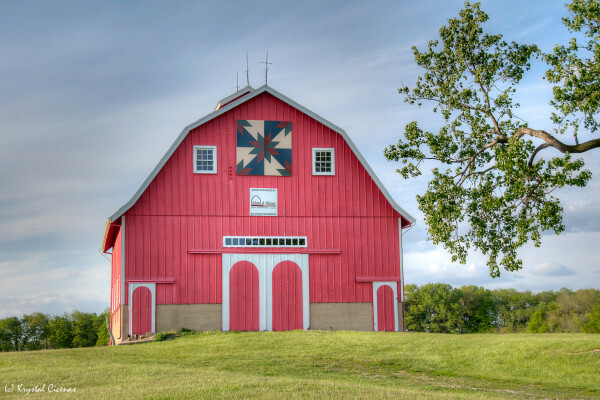 Barn Quilts of DeWitt County is a project designed to celebrate Clinton and DeWitt County's rich agricultural history, showcase our rural areas, promote agritourism, the arts, and create a sense of community pride. Throughout the county vibrant hand-painted 8' x 8' quilt blocks on wooden canvases adorn numerous barns, making a drive through the countryside all the more enjoyable. Barn Quilts of DeWitt County is an all-volunteer program of the Clinton Area Chamber of Commerce & Tourism Bureau. Stop by the chamber to pick up your map or download here and explore the DeWitt County country side. For more information visit Barn Quilts of DeWitt County on Facebook. Open April - December, The C. H. Moore Homestead DeWitt County Museum, 219 East Woodlawn, Clinton, invites you to "Take a Walk Into History". 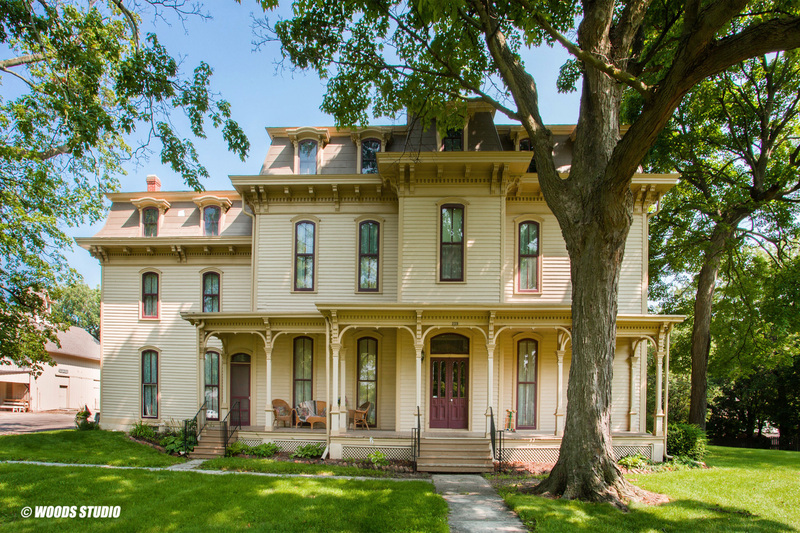 Tour the restored mid-Victorian mansion which was the home of the Honorable C. H. Moore, Abraham Lincoln's law partner in Clinton while serving on the Eighth Judicial Circuit. The mansion is listed in the National Register of Historic Places. Ask about the National Park Stamp. A brochure is available here. 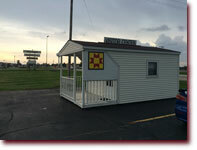 Call 217-935-6066 or visit their website. 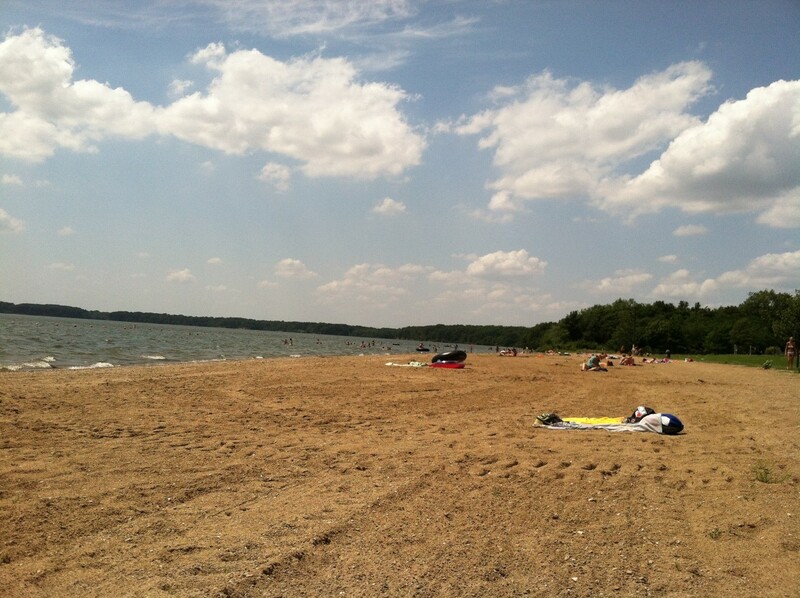 Clinton Lake S.R.A. is east of Clinton off Rt. 10 and Rt. 54. Enjoy 9,300 acres of great outdoors for all seasons - picnics, hiking, camping, swimming, water skiing, boating, fishing, cross country skiing, snowmobiling and so much more. Contact Clinton Lake S.R.A. at 217-935-8722. Restaurant on site. Tourism Information is available at the DeWitt County Visitor Center, conveniently located at the intersection of State Route 54 and U.S. Route 51. 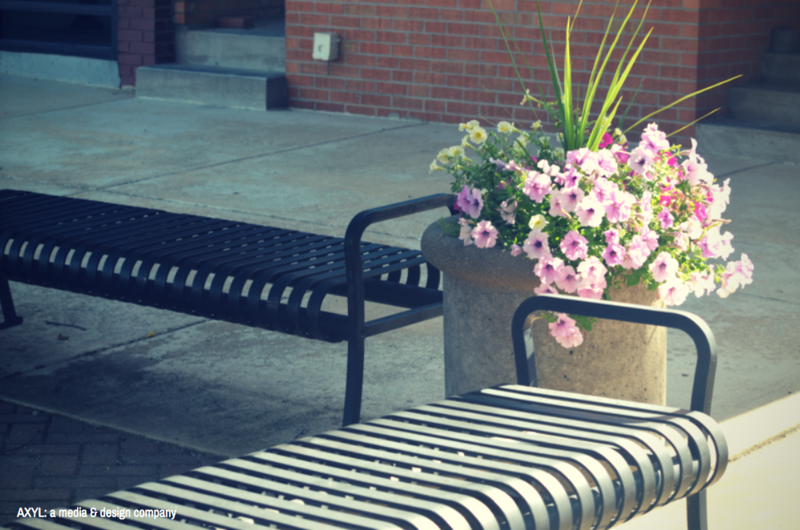 The center offers an outdoor brochure rack with area information that's available 24 hours a day, 7 days a week! For more information, please call the Chamber office at 217-935-3364 or 866-4-DeWitt. Eagle Theaters is a family-owned chain of regional movie theaters with three Illinois locations - Robinson, Clinton, and Streator. The Clintonia Eagle Theater opened in 2009. Clintonia's 5 theaters show the biggest movie releases and also offers kid series throughout the year. Whether it's date night, to beat the heat, or getting out of the house, stop by Clintonia Eagle Theater and relax in their clean theaters with a big bowl of popcorn from their fully stocked concession. For a list of showings click here. The LHC was formed by volunteers dedicated to the historic ties Abraham Lincoln has with the area. The ties run deep as Lincoln played an important role in Clinton’s early development. Clinton is an official member of the Looking for Lincoln Coalition and the Looking for Lincoln Story Trail - home to nine Looking for Lincoln wayside exhibits with an additional wayside in DeWitt. 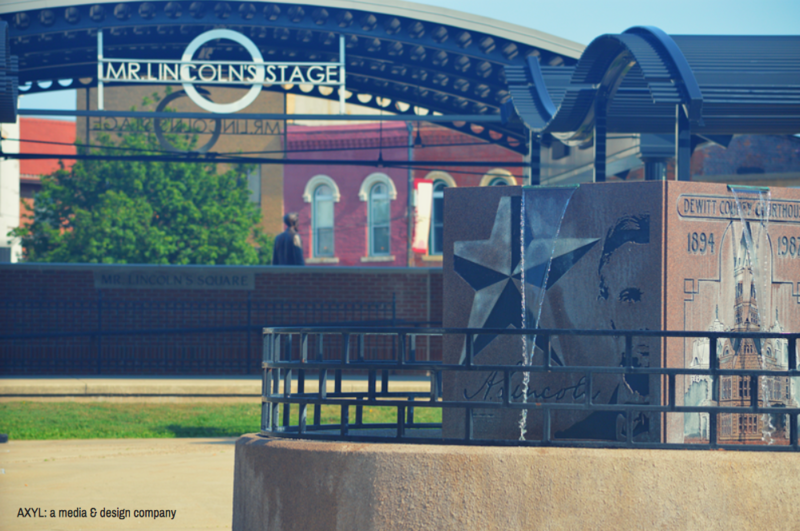 Enjoy a seven-block wayside walking tour and experience Clinton as Lincoln knew it. If you're planning a Lincoln-themed visit and would like more details or you want to join the committee, contact the Clinton Chamber of Commerce at 217-935-3364 or 866-4-DEWITT or visit Lincoln Heritage of DeWitt County. A printable pamphlet with map is available here. See the Lincoln statue by A. L. VanDenBergen and other historic monuments on Mr. Lincoln's Square. If you want to learn about the places Abraham Lincoln has been and the people he knew as he traveled through central Illinois enjoy the Looking for Lincoln Story Trail. Over 200 storyboards are scattered throughout the central Illinois. For more details and locations visit Looking For Lincoln. Don't miss the DeWitt County Museum's C. H. Moore Homestead, a home owned by Clifton H. Moore - a law partner of Lincoln during the 1840s. The two shared a law office in Clinton, now occupied by Moore & Warner Farm Management. Need genealogy assistance? 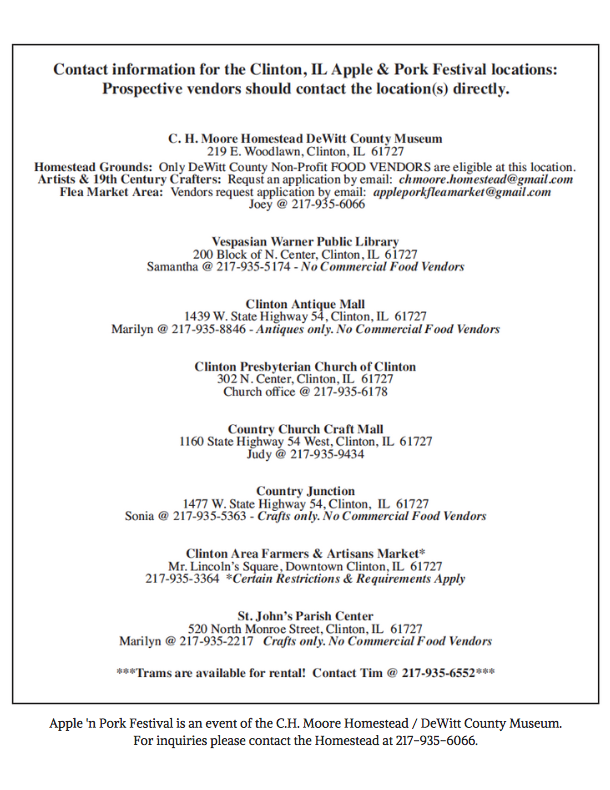 Contact the Vespasian Warner Library, home of the DeWitt County Genealogical Society. Come out for the annual bike ride around DeWitt County. 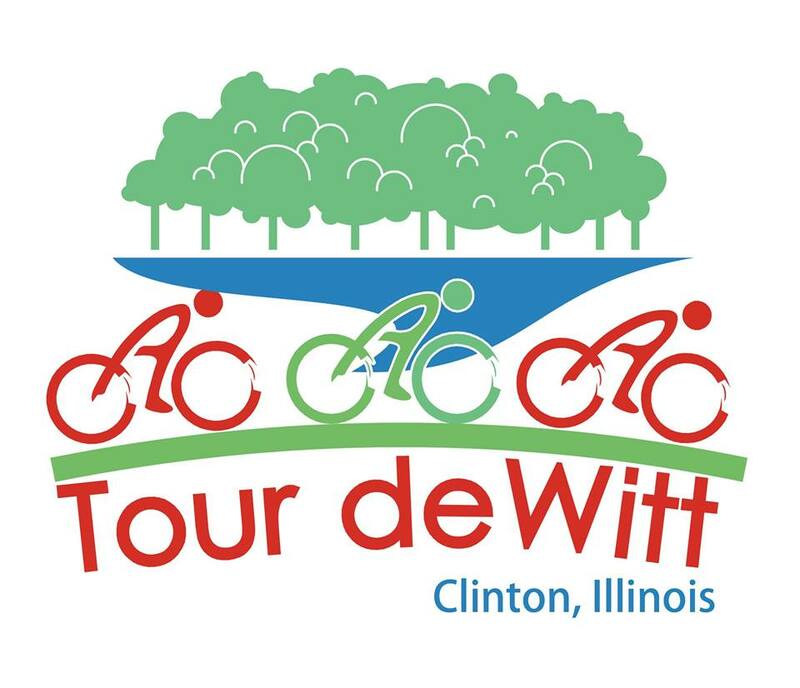 Proceeds from the Tour deWitt will help to fund the McLean County Children's Protection Network which operates the DeWitt County Children's Advocacy Center. This is a ride for all levels of riders with a 9, 22, 40, or 62 mile loop beginning and ending at the Clinton United Methodist Church at 308 E. Main Street, Clinton, IL. Further information can be found on the website. Stay in the loop by following Tour DeWitt on Facebook. Bring the kids and enjoy a fun-filled afternoon of imagination at the Ultimate Play Space, located in Kiwanis Park behind the YMCA at 417 S. Alexander. The Ultimate Play Space was designed and built by hundreds of volunteers. Also located in Kiwanis Park, the Spray & Play spray park provides a refreshing relief to the summer heat. Just two miles east of Clinton sits Weldon Springs State Park, a 550 acre park for all seasons. 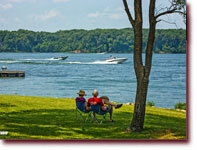 You can fish, boat, camp, hike, view or photograph nature and wildlife and so much more. Pack a picnic and come spend the day with the family. Contact Weldon Springs State Park at 217-935-2644. Restaurant on site.